Do you have a UK registered pension and are you a tax resident in Qatar? If you are an expat and a tax resident in Qatar with your pension in the UK, you may be liable to pay tax in the UK. However, with the right international pension advice, it might be possible to transfer your pension fund out of the UK into a Qualifying Recognised Overseas Pension Scheme (QROPS) allowing you to benefit from advantages. Our independent financial advice regarding transferring pensions offshore is specifically aimed at those who plan not to return to the UK as a resident. The DTA that exists between the UK and Qatar stipulates that any pensions or income ‘in consideration of past employment’ (including annuities) are taxed in Qatar if the individual is resident there. Government pensions are treated a little differently. Professional international pension advice should be sought in all cases of international pension transfers. Your international adviser should be able to assist with this. Gibraltar taxes of 2.5% apply to QROPS held in the jurisdiction as no DTA exists with Qatar. UK income tax does not apply if the person has been non-resident for at least five years or withdrawals are below £100,000. 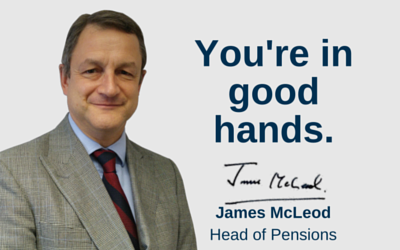 Independent financial advice should be sought in all pension transfers to Malta. Qatar and Malta do have a DTA in place which states that pensions will be taxed in the individual’s country of residence (Qatar in this case) instead of Malta. The highest rate of tax in Malta is 35% of the individual does not meet the residency requirements. Government Service Pensions are treated differently. Employee salaries are not taxed in Qatar. Income from businesses (including properties) sourced in Qatar is subject to company tax. GCC (Gulf Cooperation Council) and Qatari nationals are not subject to any income tax at all. Foreign pensions are not subject to tax in Qatar providing they are not derived from or accrued in Qatar. If the individual’s permanent home is in Qatar or their ‘vital interests’, than they are considered residents. Equally, if the individual spends 183 days in any 12 month period in Qatar, they are also classed as residents. Lastly, if the individual is employed by a sponsor or their spouse is, they are likely to be residents and hold a residence card. The DTA has specific residency criteria. For both the UK and Malta agreement, residency requirements are the same as above without mention of 183 days specifically, rather that Qatar is the individual’s ‘habitual abode’. There are no net wealth, net worth gift or inheritance taxes. Qatar has approximately 60 DTAs in place. If the pension stays put in the UK, and the individual is a resident of the Qatar, then UK taxes apply to pension income. Death benefit charges still apply to funds in the UK. For those members who have been non-UK residents for five years or more, transferring a pension to a Gibraltar QROPS will mean not being exposed to UK taxes on income of up to 45%. The member will pay 2.5% tax in Gibraltar and zero tax in Qatar providing they are a resident. The QROPS protects from UK inheritance tax and (assuming 5 years as a non-resident in the UK) it will also protect from UK death benefit charges. Again, assuming the member has been a non-UK resident for five years or more, this option will ensure the pension is not subject to income tax (up to 45%) in the UK. The member will no tax in Malta and zero tax in Qatar providing they are a resident and fulfil the DTA criteria. If the individual is not a resident in Qatar, taxes of 35% apply in Malta. The QROPS protects from inheritance tax in the UK (also with a zero rate of inheritance tax in Malta) and assuming a minimum of 5 years as a non-resident in the UK, it will also protect from UK death benefit charges.